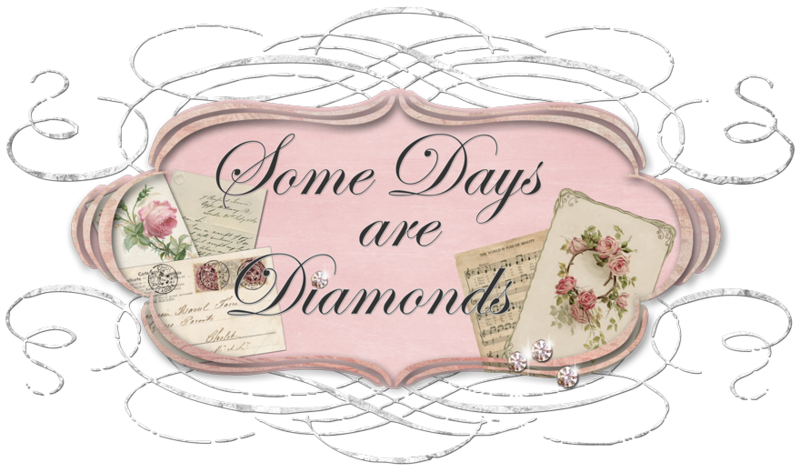 Some Days Are Diamonds: Can you say Yummmmmm? We are back from our very fast trip to Napa Valley. It was a very long drive but we had such a good trip, considering the reason we were traveling there. We lost my sister's husband's step-dad. What a guy! He and his wife Barbara (more affectionally known as Bubbles, and if you could meet her, you'd know why!) live in Napa. You can't help but love these two people! He was a Veteran from WWII and was given a gun salute at the funeral. They used Civil War Guns! The entire Church shook when they were fired, and I thought the little old ladies next to me on the pew were going to have a heart attack! It was a different experience for me indeed. We went back to Barb's house after the service and just hung out with family for the rest of the day. I took a gazillion pictures and am looking forward to putting together a little scrapbook for her. Saturday morning was cool and cloudy but I was determined to take in a few wineries before we headed home. dh was wonderfully willing to oblige me and off we went. First we stopped by a Fine Foods store called Dean and Deluca. OH MY GOSH! I could've spent hours in there. Very pricey, but just had to have this cute salt cellar set. It's made of pewter. Next - Sutter Home Winerie. Didn't taste anything because it was so darn early yet for me. I cannot drink wine at 10 am. Champagne - yes. Bloody Mary - yes. But wine? Nope. But my sister-in-law said to go and check out the gift shop (yes I know what you are thinking . . . ) and low and behold I found some "bling". From there down to Grigch Hills, one of my favorite wineries ever! Bought a few bottles and yes! tasted. Had to there - it is outstanding. Then I knew we really only had time for one more so I picked Cakebread Cellars. Friends of ours just love it, so decided to see what it was like. WELL!! Talk about a personal and interesting tasting! None of the "stand here at the bar and see what you like". We got a small tour of different things, including out in the gardens where they converted the original farmouse to a kitchen and patio where they give cooking classes about 8 times a year! Doesn't that sound like FUN!?! Even dh wants to go back and do that! Then we were led to a beautiful big dining table overlooking the vineyards and the gardens. It was gorgeous. Fireplace burning, and our guide was just the best. Very funny guy who really knew his stuff. And the tasting? Outstanding! I could've bought every one we tasted, and we tasted both whites and reds. The only thing they didn't do was give us our tasting glasses which most of the other wineries do, but hey ... I'd rather have the tour. And yes, Cakebread has moved in to firsts place on my favorite wineries list. Well in the middle of the table where we tasted the wine was an open book. I kind of glanced at it for a second and realized it was a cookbook written by Mrs. Cakebread. Looked at the first 10 recipes or so and knew I had to have it!!! Here are a few of my purchases from the trip. Very fun! But the cookbook is my favorite! I have a sinking feeling this is going to become my favorite of all time. Even over Ina! And that says a lot! We bought some wine and the cookbook and began our trip back down California. I was amazed to see that all the way from Stockton to about 20 miles north of Bakersfield there are orchards - the entire way! And they were all in bloom! Pink, white and purple blooms for about 250 miles. It was GORGEOUS! These pictures don't do it justice. We have obviously never traversed the state when these were in bloom before, because we were both dreading the trip because it is such a "non-descript" trip. Absolutely nothing to look at. And in the summer it's hotter than the hubs of h#*l! So just gazing at all of those blooms the entire way was a treat indeed! I read the cookbook to dh on the way home. Needless to say our mouths were watering. Dh is a big fish eater, and some of Mrs. Cakebread's fish recipes sound positively scrumptious. And her salads and appetizers! And breads and soups! Oh! I am in Heaven! Here is a quick peek at the book. I'm going to go to the fish store tomorrow and see what they have that I can fix one of these recipes with. There are just soooooo many to choose from . . .
Mrs. Cakebread signs every cookbook! I have a feeling you'll be seeing me posting a lot of recipes in the not too distant future! It is hot here today! Supposed to be over 80. YUCK! But it is nice and clear, so decided to share with you the view from my office window. It's really pretty at night. Again, the pictures just don't it justice. I'm still not sure what is going on with my blog - if it is truly my blog or if it is Blogger. Some things seem to work and others don't. If it tells you you can't comment, just click it two or three times and it'll eventually work. Looking forward to those of you who participate in Met Monday. One of these days I'll do it. Hi Karen: That was a fast trip!! I like all the goodies you bought. I am with you though, I can't drink wine at 10 am unless I woke up at 4 am, lol. I've never seen the orchards in bloom either. I have this thing about trying different types of mustards, I love the sweet/hot types. Your view out of your office window is beautiful. Nice neighborhood you live in. We are warming up a little too, they say we will hit 64 today. Don't know if I believe that though. And next weekend we are supposed to have snow and rain. very beautiful photos. I so would love to get my hands on that cookbook...one of my fetishes to! Okay I am soooooooo jealous! I lived in Cali for three years and never went to a single winery :( and I totally fell in love with an Almond Champagne from a winery in Temecula - dude, Texas has never even heard of almond champagne!!! Looks like you got some great treasures!!! So you are still having trouble with your blog? How can you not follow a blog, that's just weird. I know you can't follow more than 200! heheh! PS: I had to try and post it twice for it to take....the first time it gave me an error! Ugh! What a fun trip! We had a quick three day trip this past weekend too....Nashville and Memphis! I can't wait to see some of your new recipes! Thank you for being so sweet! Your blog is beautiful! I love the view from your office window...I might spend all my time looking out! Yum Yum...Can't wait for the recipes! My husband and I have been talking about taking a road trip and visiting some of the California Wineries. Love the pictures here.